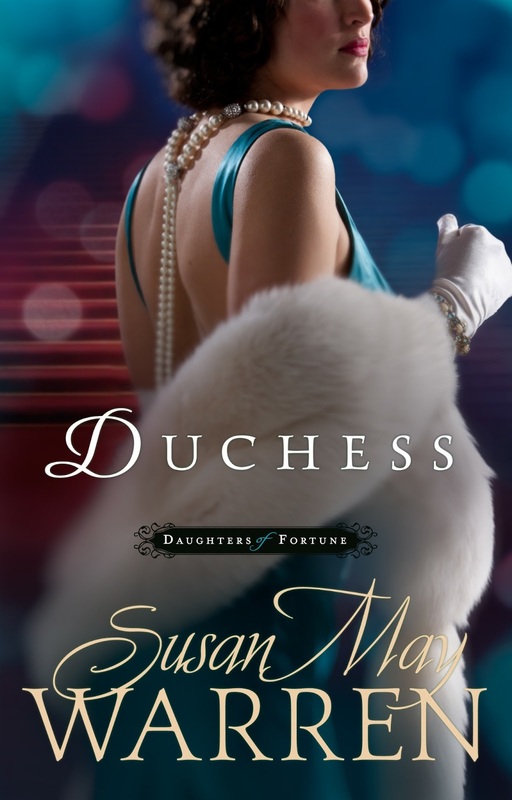 Best-selling Susan May Warren brings what she considers to be her most ambitious series yet to a dramatic close in her latest release, Duchess (Summerside Press / March 1, 2013 / ISBN 978-1-609367718/ $14.99). The Daughters of Fortune series is an epic generational series following the family of New York newspaper magnate August Price from the Gilded Age to end of World War II. Each generation of Price women must navigate love and ambition in a world of wealth, power and social expectation. However, there’s more to the series than captivating tales of wealth and privilege in New York, Paris and Hollywood. “The series is named ‘Daughters of Fortune’ not only because of their circumstances, but because I hoped readers might see what a true fortune looks like. What a true inheritance is when a person puts their faith in the Lord,” says Warren. In this final installment, Duchess, readers pick up the story of Rosie Worth, who has achieved her dream of becoming a starlet and is now known as Roxy Price. The golden age of Hollywood is in the business of creating stars, and Roxy has found everything she’s wanted in the glamour of the silver screen. With adoring fans and a studio-mogul husband, she’s finally silenced the voices—and grief—of the past. Her future shines bright, that is until the fated Black Friday when it all comes crashing down. When Roxy loses everything, she finds herself disgraced and penniless. Her only hope is to join forces with Belgian duke Rolfe Van Horne, a longtime film investor. But Rolfe is not who he seems, and he has other plans for Roxy and her movies—plans to support a growing unrest in Europe, plans that could break her heart and endanger her life. When her country needs her, will she have the courage to surrender her glittering world and her one true love? The first release in The Daughters of Fortune series, Heiress, introduced readers to the beautiful and wealthy heiress daughters of August Price. Even though the Price sisters could have anything money could buy, it didn’t stop them from desiring something deeper. And it certainly couldn’t buy them love! Set in New York City during the Gilded Age, and inspired by the Biblical story of Jacob and Esau, Warren writes the story of the Esme and Jinx’s journey to discovering what it means to be truly blessed. In book two, Baroness, the story picks up with Esme and Jinx’s daughters, Lilly and Rosie, who are coming of age in the roaring twenties. Both girls are expected to marry well and take the reins of the family empire in a world recovering from “the war to end all wars.” However, each desires more freedom than the life her parents have planned out for her will allow. Lilly longs to return to Montana, the childhood home she holds dear. On the other hand, Rosie dreams of the bright lights of the newly emerging silver screen. Will the pursuit of lives of their own cost them their happily ever afters? Leading up to the release of Duchess, now through March 4, readers will be able to download Heiress for free from all major e-tailers. During that same period of time the digital version of Baroness will be $1.99. Susan May Warren is the RITA award-winning author of more than forty novels with Tyndale, Barbour, Steeple Hill and Summerside Press. A five-time Christy award finalist and three-time RITA Finalist, she’s also a multi-winner of the Inspirational Readers Choice award and the ACFW Carol award. 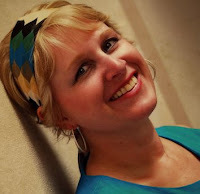 A seasoned women’s events speaker, she’s a popular writing teacher at conferences around the nation and the author of the beginning writer’s workbook: From the Inside-Out: Discover, create and publish the novel in you! Warren is also the founder of www.MyBookTherapy.com, a writing craft and coaching community for novelists to help them get published—and stay published. Susan and her husband of more than twenty years have four children. Former missionaries to Russia, they now live in a small Minnesota town on the shore of beautiful Lake Superior, where they are active in their local church. A full listing of Warren’s titles, reviews and awards can be found at www.susanmaywarren.com. Readers can also keep up with her on Facebook (Susan May Warren Fiction) and Twitter (@SusanMayWarren).